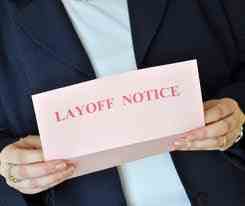 In the 48 hours after Obama’s re-election 45 companies have announced layoffs. The following is just a sample; Westinghouse, Research in Motion, US Cellular, Commerzbank, Iberia, ING, Ericson, Bristol-Myers, Corning, Boston Scientific, Abbot Labs, St. Jude, Caterpillar, CVPH Medical Center, Lightyear Haqwker Beechcraft, Hawker Beechcraft, GroupOn, Energizer Holdings and Pepsi is reviewing plans to lay off 4,000 workers. And it’s an innovation issue, too. As I reported in February, Obamacare’s impending 2.3 percent medical device excise tax has already wrought havoc on the industry…Stryker, a maker of artificial hips and knees based in Kalamazoo, Mich., is slashing 5 percent of its global workforce (an estimated 1,000 workers) this coming year to reduce costs related to Obamacare’s taxes and mandates…[Michelle then lists several more medical manufacturers executing layoffs]. But they have remained silent while the White House corruptocrats bribed federal defense contractors into delaying federally mandated layoff disclosures before the election. In a memo now being investigated on Capitol Hill, Obama promised to cover the legal fees of Lockheed Martin and other defense contractors if they ignored legal requirements to inform workers in advance about so-called sequestration cuts to the military’s budget scheduled to kick in next year. Truth suppression is a time-honored Obama tactic, of course. Remember: The administration and its Democratic allies on Capitol Hill attempted to punish Deere, Caterpillar, Verizon and ATT in 2010 for disclosing how the costs of Obamacare taxes were hitting their bottom lines — even though they were simply following SEC disclosure requirements. The White House also tried to silence insurers who dared to inform their customers about how Obamacare was driving up premiums. When I purchased my house last year I had a termite inspection done and the individual was the owner of a medium-sized family business. The ten foot Ron Paul banner in my driveway got us to talking about politics and he admitted that he had “two books” for 2013, each one based on who wins the election. He went on to say that if Obama won, that would mean all of the Obamacare regulations and enforcements over businesses would remain intact with the requisite ratcheting up of corporate taxes and taxes on business owner income like his, so he would have to layoff ten employees almost immediately if he still wanted to have a chance at being in business by 2014. This was not a man who was going to lay off people out of spite for Obama, this was a man who was trying to keep his company alive knowing that hefty government regulation and the oppressive costs that come with them, were going to come down on him by the tonnage. Consider that this is just one man, just one business owner, of a mid-sized family owned business in California. But he was not the only one who had “two books” ready to go. The list above is just a sample of large corporations, many on a global scale, who also had “two books.” This is just the beginning of what businesses will have to do now to try and survive not only the coming onslaught of government oversight, regulation and taxes, but the coming financial crisis when the dollar collapses. But hey…this is what Americans wanted.